Her age and place of birth are unknown. 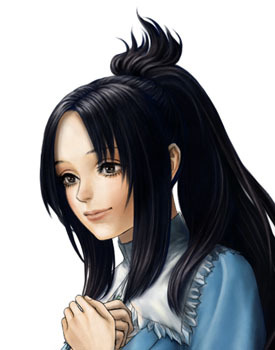 She has long, black hair and jade eyes, and it is she who greets You when You first awaken in the mansion. 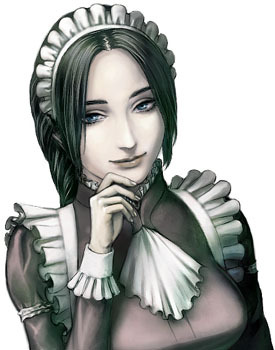 The Maid calls You the "Master" of the house, and at her invitation, together You bear witness to a variety of events that took place within these walls. 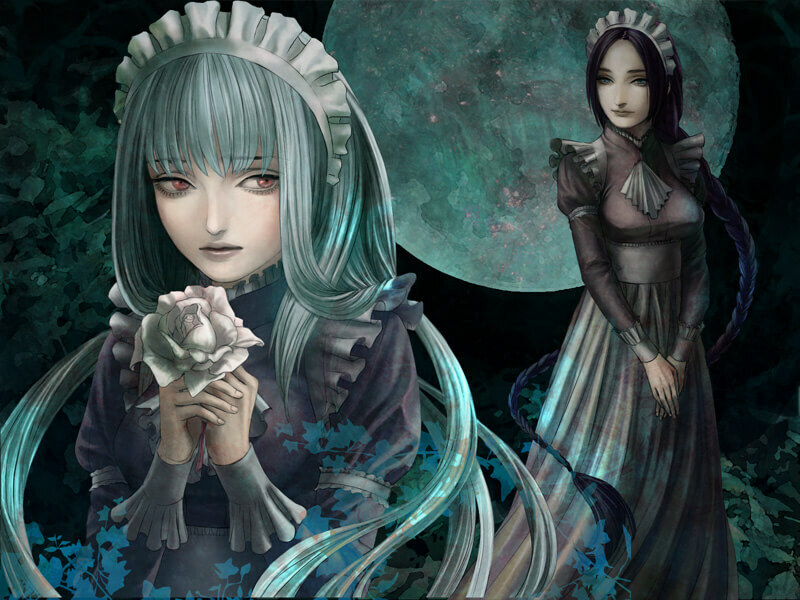 Shadows of her presence are visible in each of the tales. At times, she is there, and others... nowhere to be found. Though she treats You kindly, her hands are cold as ice, seemingly devoid of life. How, then, is she here now, with You? 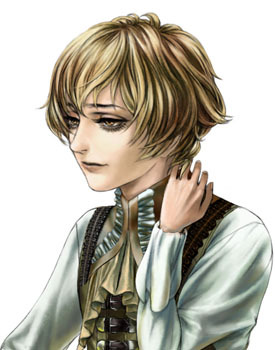 The eldest child of the Rhodes family, seventeen years old. A mild-mannered young man with flaxen hair. 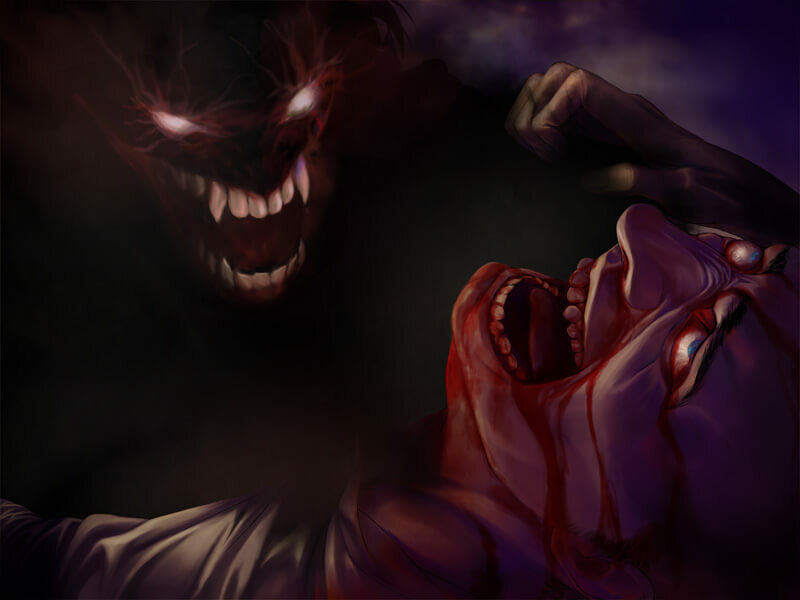 He often finds himself at the behest of his younger sister, Nellie, whom he cares dearly for. Although Mell is intelligent, he lacks ambition. The priest at the church where he studies wants him to take up theology, but he has still yet to make up his mind. The time is quickly approaching for him to decide the course of his future, but he himself feels no urgency. 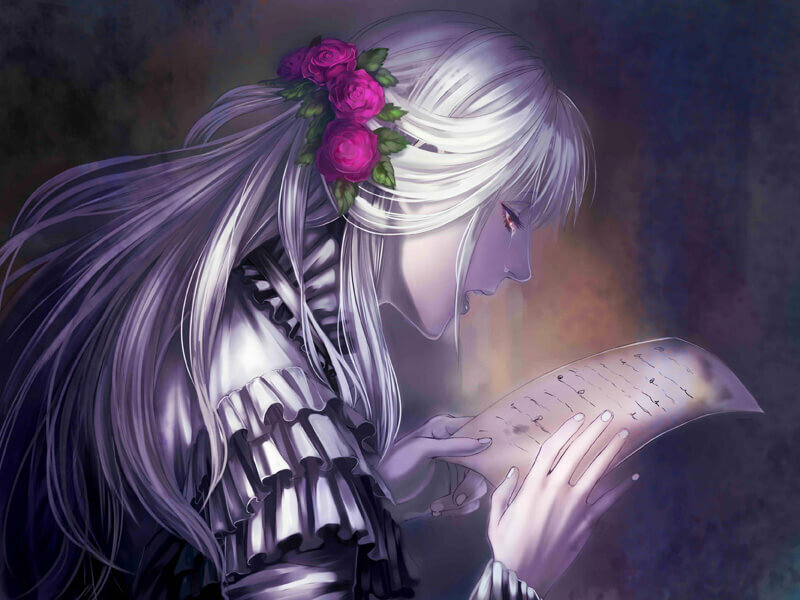 The performing arts make him fall asleep, and his reaction to paintings is always an indifferent, "Huh." While Mell’s days are not particularly fulfilling, he is hardly discontent with his situation either. 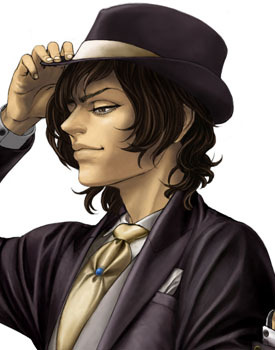 But one day, a young woman appears at his late grandfather’s mansion, changing Mell’s life drastically. Presumed to be somewhere between fourteen and sixteen years old. Her birthplace is unknown. 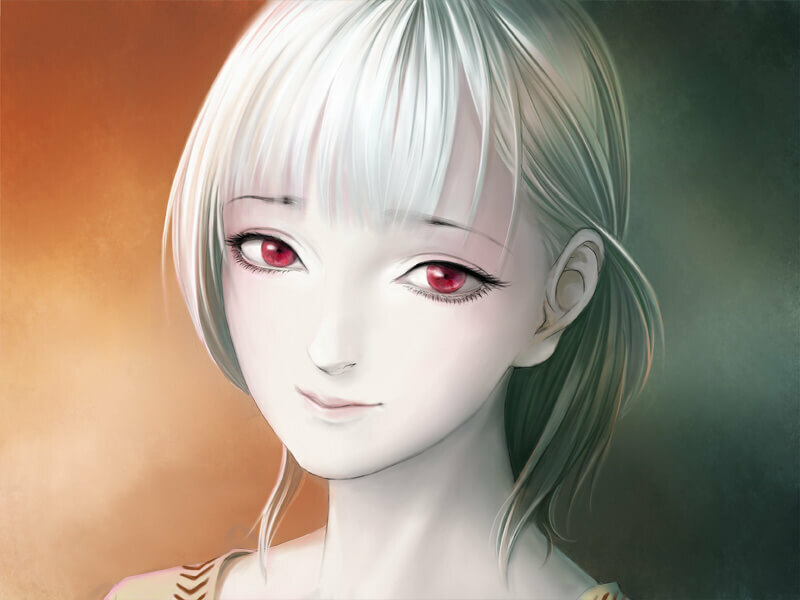 She has snow-white hair, ruby-red eyes, and abnormally pale skin, giving her an otherworldly beauty that many find disturbing. She is also hypersensitive to sunlight, which forces her to remain indoors much of the time-much to her dismay. Though reticent and passive, she also has an air of femininity about her. One stormy night, the White-Haired Girl shows up unannounced at the Rhodes household. 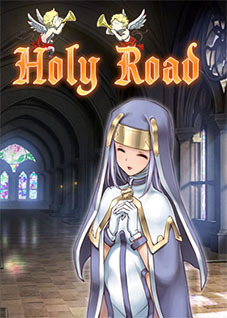 She is taken in as a servant, but it appears she may have come for more than just work. The second child of the Rhodes family, fourteen years old. 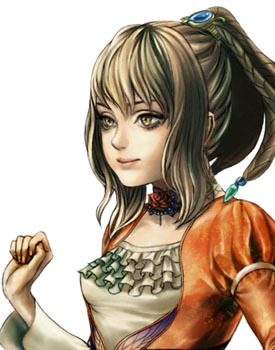 An energetic girl with flaxen hair who-while she can be pushy and self-centered-is also sweetly charming. 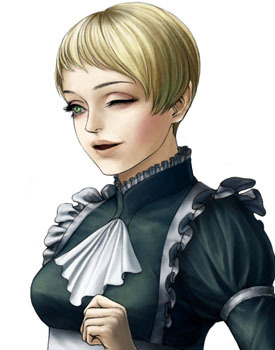 Nellie has a wide variety of hobbies: from card games to dressing up, foreign sweets to theatre, and-of course-talking. She is also quite the impressionable young girl. 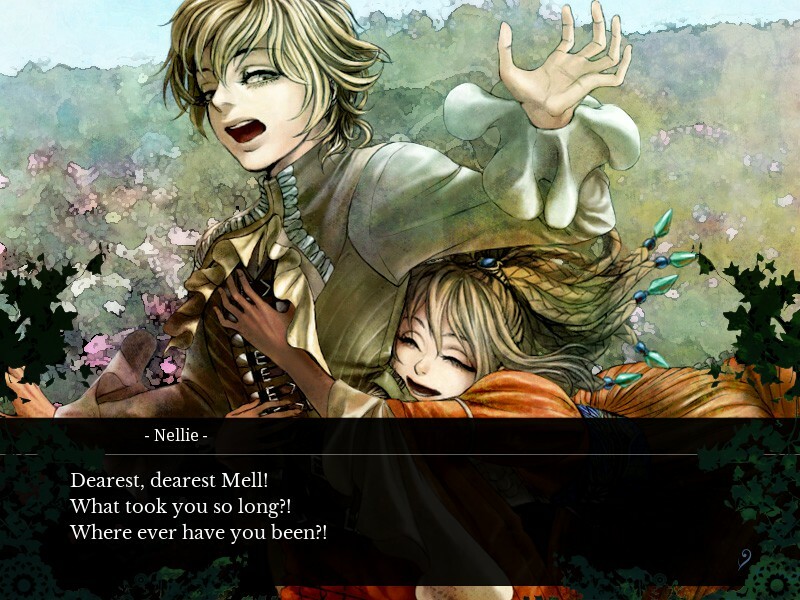 Nellie is very close to her older brother, Mell, whom she calls her prince-a holdover from the make-believe games they played when they were younger. However, she’s at the age where her family is beginning to plan her marriage, which has Nellie feeling rather melancholic. And then, one day, something happens to taint the girl’s once pure, childlike cheer. The twenty-two-year-old daughter of a trader who, predictably, fell in love with a foreign merchant. She and her beloved are lucky to see each other more than once a year, but the bonds between them are unbreakable. Though separated by the vast seas, their relationship lives on. And then, one fateful day, she receives heartbreaking news: the Merchant has been involved in a fatal shipwreck. Pauline, however, refuses to believe he is dead, so she sets off on a journey in search of him. A twenty-six-year-old businessman who has invested in the budding rail industry. 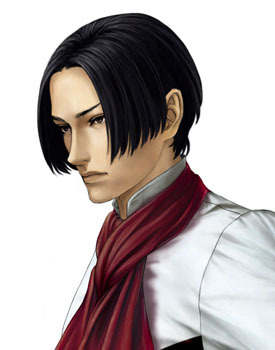 Ruthless and proud, Jacopo will readily toss aside anything and take advantage of anyone in order to further his own ambitions. Having clawed his way to the top in a world where the language is deceit and manipulation, Jacopo cannot even trust his own wife. There are only two things in life he can believe in: money and power. Just where will the rail industry-in which he has staked his entire livelihood-take him? 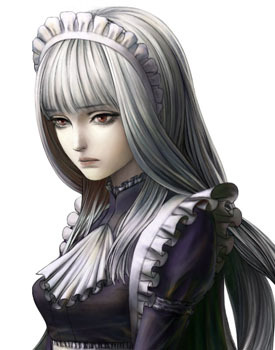 A maid who works in the mansion, twenty-four years old. She’s affable and frank, cheerful and lackadaisical-but she never slacks on the job. 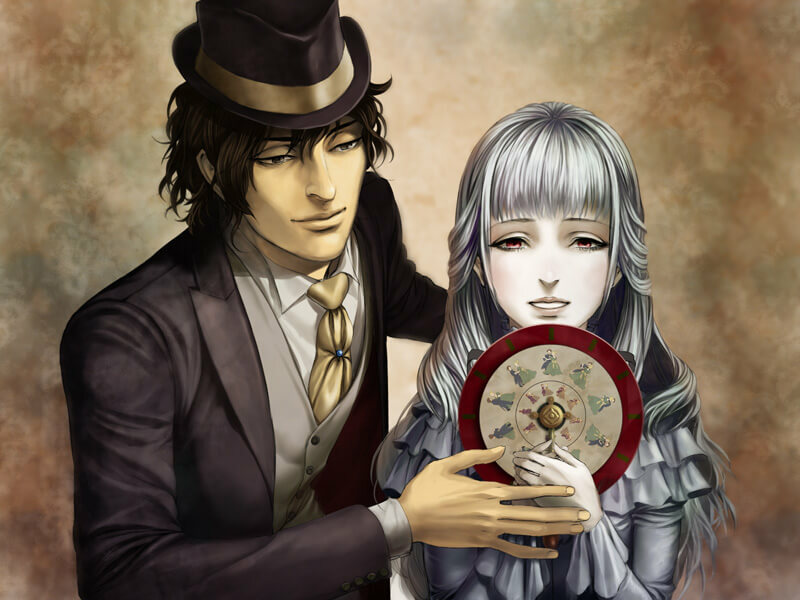 Maria is the only one in the mansion willing to get involved with Jacopo’s neglected, mistreated wife, with whom she’s begun to form a friendship. 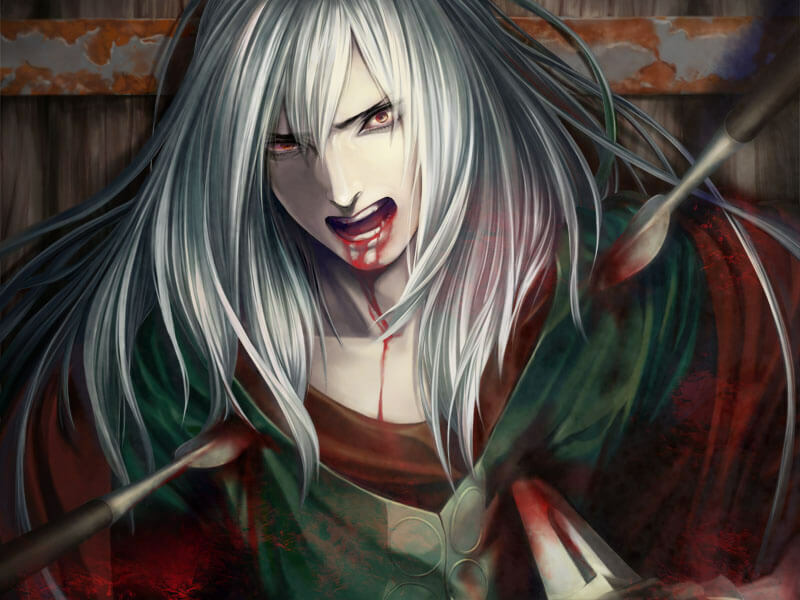 She’s also the only person who doesn’t seem to fear Jacopo, though no one’s quite sure why. Passed away at the age of twenty-five. In life, the Merchant worked on an international trade ship. While he could be somewhat standoffish, he loved Pauline dearly, and though they were often worlds apart, his devotion to her never wavered. So how will their relationship change when faced with the ultimate barrier: death? 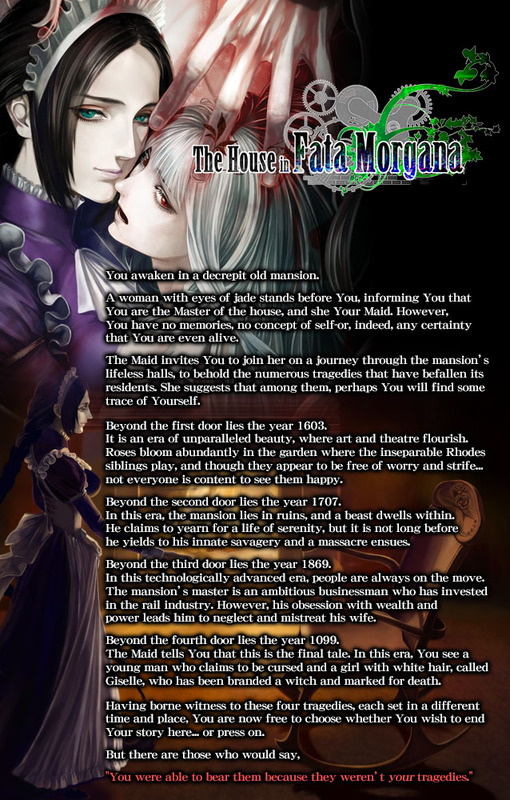 I bought The House In Fata Morgana because another fan of Umineko No Naku Koro Ni recommended it. 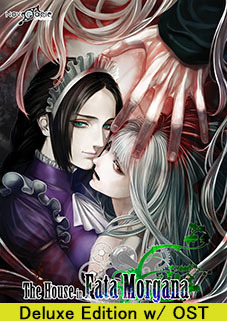 Although it is a very different story and kind of mystery than Umineko, I absolutely adored The House In Fata Morgana. If you read this, be prepared for an emotional roller coaster! It was very suspenseful and I simply couldn't figuratively put it down, and even though I was reading it almost all day every day, it took me over a week to finish it, so it's many hours of entertainment! The story was immersive and beautiful, the characters were interesting and complex and the art and music were gorgeous. I took a chance and bought the Deluxe version with the soundtrack, and I'm glad I did. 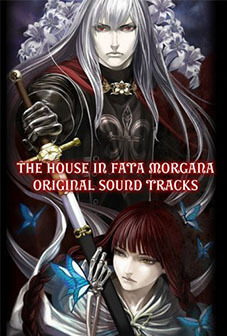 I really look forward to more Fata Morgana! 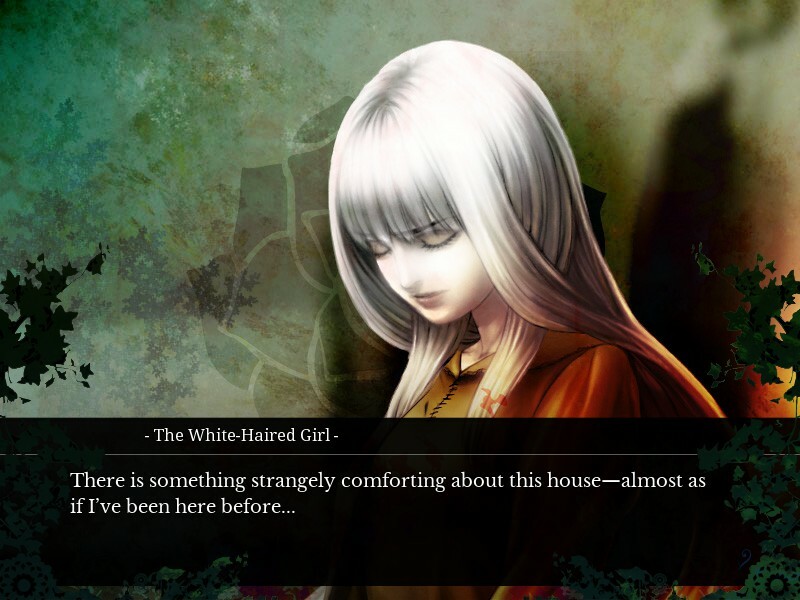 The House in Fata Morgana surprised me over and over and over again, from the moment I opened the visual novel to the moving conclusion. 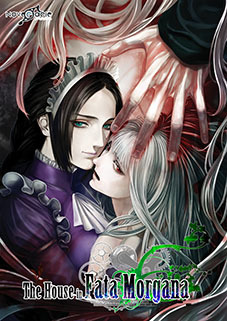 Going into this, I was expecting something like Higurashi When They Cry. What I got was something far more heart-rending and it impacted me in a much more personal way. As far as atmosphere goes, this can't be beat. 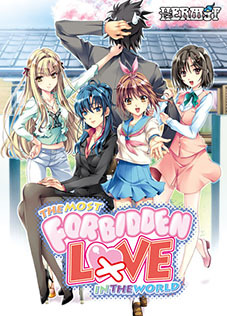 The art, music, and sound effects are all top notch, and there are a pretty large number of unique CGs for a non-H title. The GUI is beautiful, too. All of these things serve as a great accent to the very depressing but also extremely captivating story. I was worried at first when I saw there was no voice acting, but after completing the game, I think any voice acting would detract from the experience. 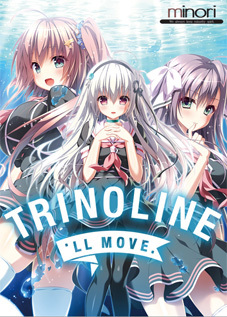 I was also a little afraid that the non-moe style would grate on me, but I can't imagine this having cutesy art now that it's over. I don't want to spoil anybody because I do think that this is better left unspoiled (although if some content bothers you, heed the content warnings that are left in the link MG left on this page), but this game was really not what I was expecting at all thematically. It definitely deals with some heavy and taboo topics, but not in a tacky way. The twists were beautifully executed, not a detail was extraneous, and all of the characters are very deeply human, which makes everything that happens all the more impactful. 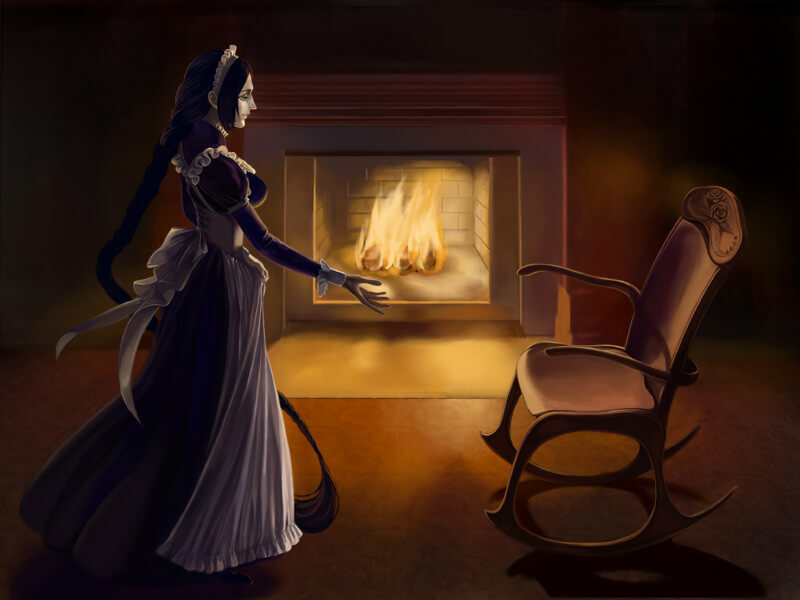 I was so pleasantly surprised by the character beyond the fourth door, in particular. His story moved me to tears multiple times, and I will remember and think about him for a long time. 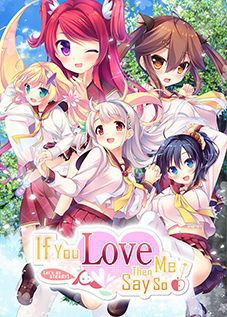 Please do yourself a favor and pick up this VN. It's cheap and delivers a truly unique and intense story that will stick with you for a long time. Thank you so much, MG and Novectacle. Looking forward to A Requiem for Innocence! Too bad I can't rate it 6/5. Get it and its sequel when that comes out. 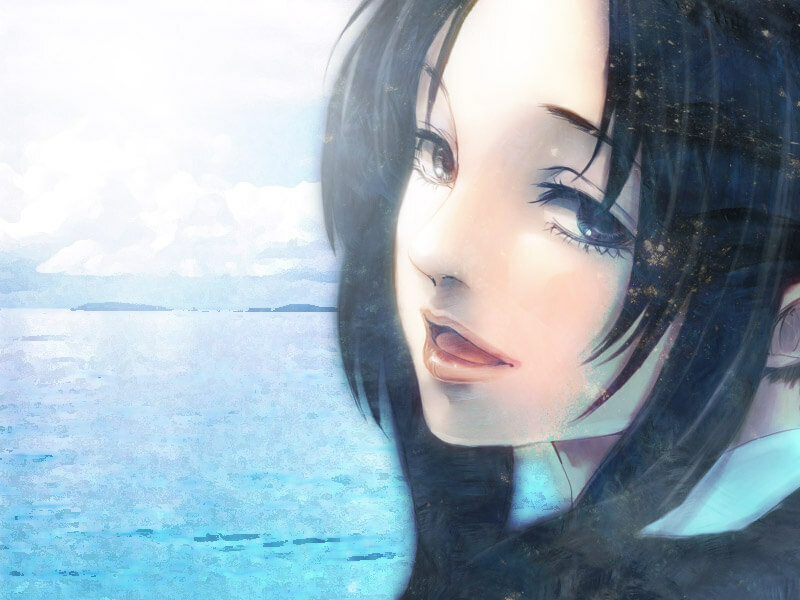 On par or greater than Steins;Gate or Kara no Shoujo. $25 is insane for what you get. Can't wait for more from that company. It will be hard to top this though holy cow.